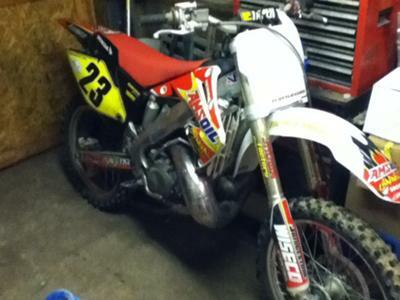 The 2002 Honda cr250 for sale runs great and was just rebuilt last year with all new top end, new crank shaft and bearings. The dirt bike's motor has been completley redone and has v force 3 reeds, fmf exhaust and many extras. similar bikes for sale to make comparisons to this dirt bike that has lots of desirable features that I've included in the ad but if you have further questions you are welcome to contact me using the space below that has been provided by GoGoCycles Used Motorcycles for Sale (and PLEASE do not neglect to include your contact information in your email or to provide a phone number or email address!) so that I can respond with answers to your questions or after consideration of your best offer as quickly as possible. 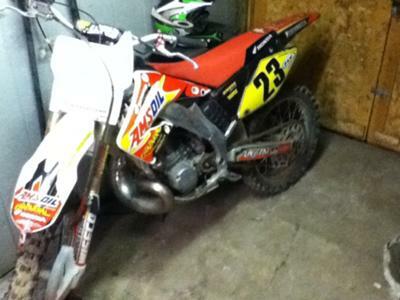 You won't find a better deal on a used 2002 CR 250 Honda dirt bike for sale in Maryland, on Craigslist or in an Ebay auction so hurry and make an offer before it gets away from you! GoGoCycles would also encourage bikers to submit a review of the 2002 Honda Cr 250 for Sale to make the biker community aware of any problems that are commonly associated with the 2002 model or to highlight its positive features and help potential buyers make informed decisions. Asking $2500 email me using the comments form.